Grab those stretchy pants! Once you taste these Hot Fudge Brownies, you’ll be going back for seconds, thirds, a midnight snack…don’t say I didn’t warn you! These are perfect for a bake sale, if you’re willing to share. 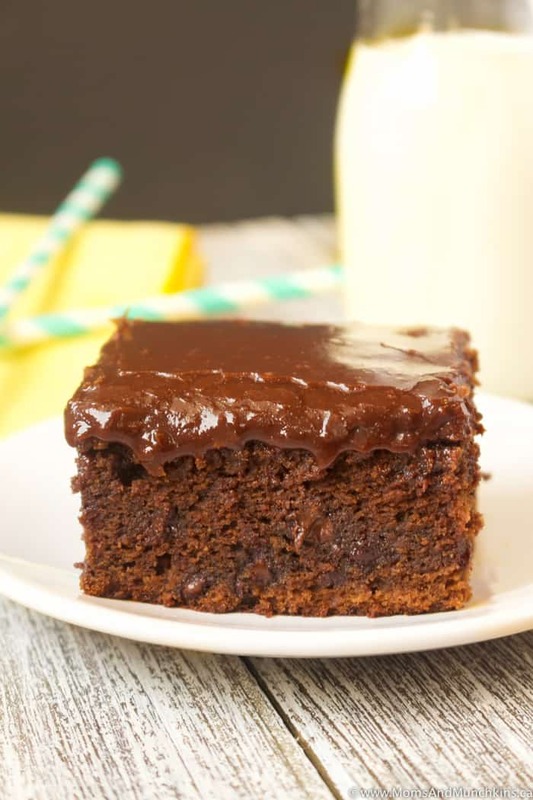 These dense and fudgy brownies include hot fudge ice cream topping which really puts them a tasty step above other brownie recipes. 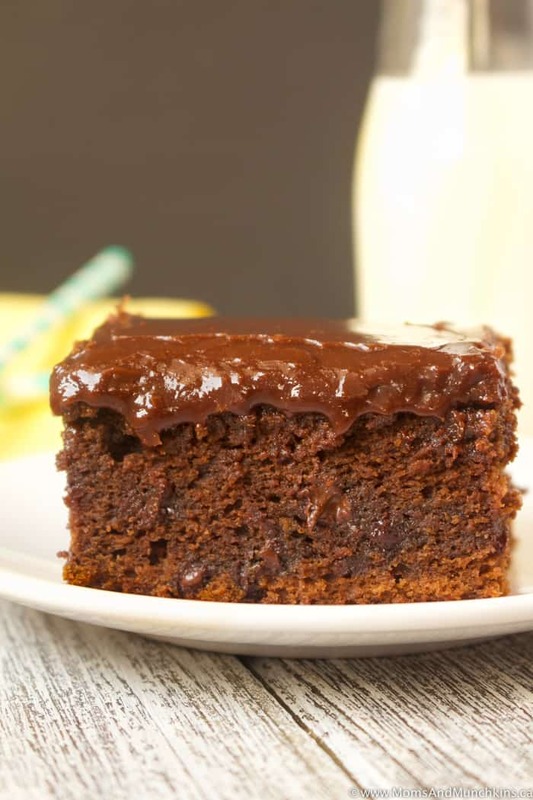 Yes, the hot fudge is baked right into the brownie! Drooling yet? Let’s jump right into the recipe! For this recipe, I used Smuckers Microwaveable Hot Fudge (334ml bottle) but any jar of hot fudge (around the same size) will work just fine. Line a 9" x 9" baking pan with parchment paper. In a large bowl, beat together butter & sugar until smooth. Stir in hot fudge and vanilla. Combine all-purpose flour with baking powder then stir well to mix. Bake for 20-25 minutes or until toothpick inserted in middle comes out clean. In a medium pot, add sugar, heavy cream and butter. Bring to a boil over medium heat (stirring constantly). Remove from heat and stir in chocolate chips until they are melted. 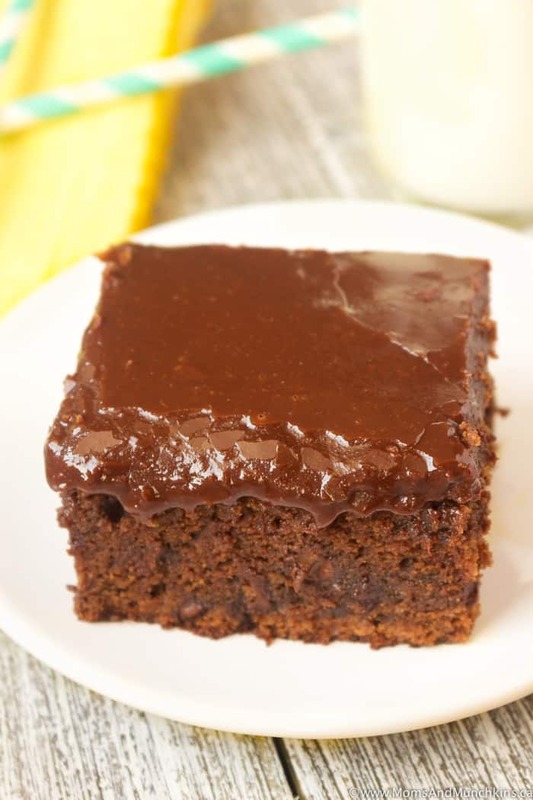 Pour frosting over baked brownies as soon as brownies come out of the oven. Can’t get enough brownies? 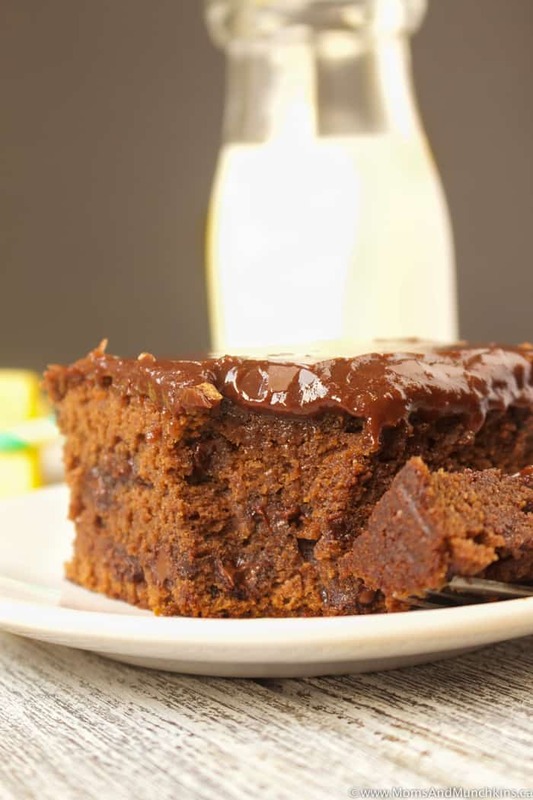 Then check out these other delicious brownie recipes! 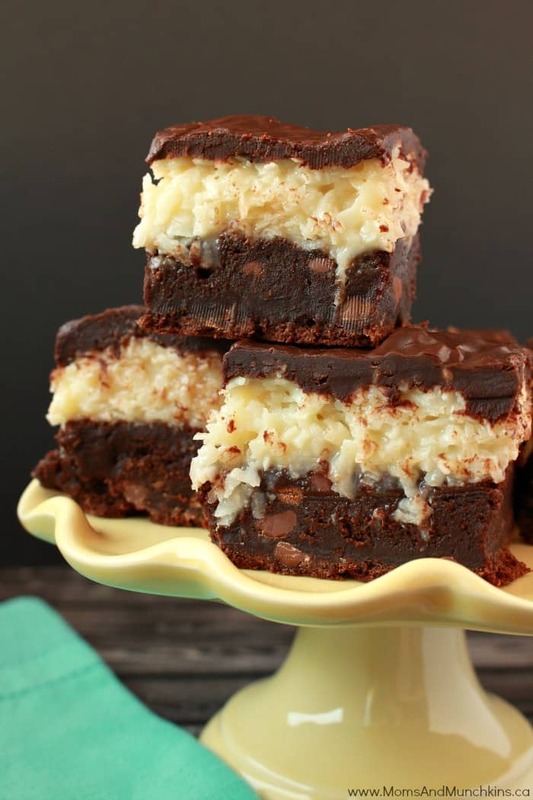 Chocolate Coconut Brownies – for all the chocolate & coconut fans! 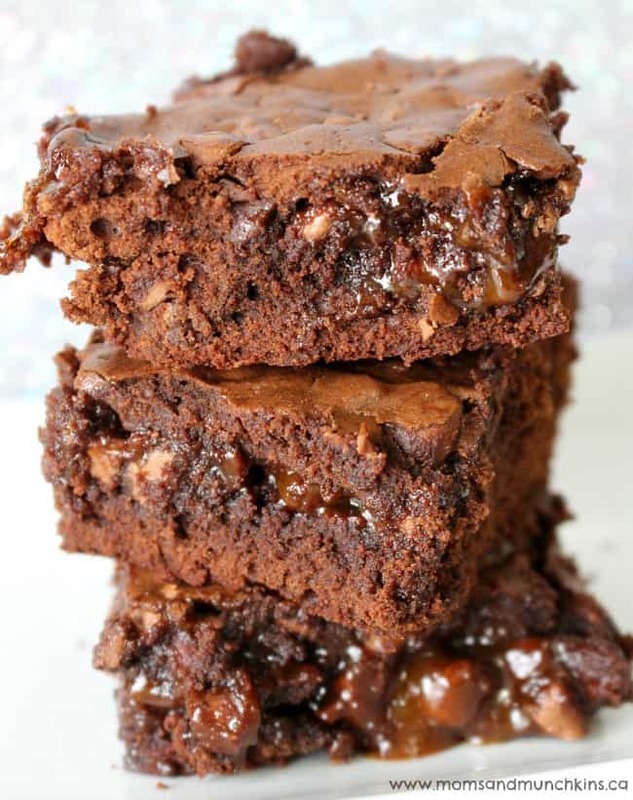 Chocolate Caramel Brownies – it’s impossible to stop at just one piece! Visit our Recipes page for even more tasty ideas. Never miss a new post by following us on Facebook, Twitter, Instagram and Pinterest.